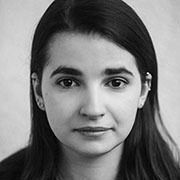 Joanna Flisowska is coal policy coordinator at Climate Action Network Europe, working with NGOs from across Europe to create strategies for the coal phase-out, and is based in Katowice, Poland. Before joining CAN, she worked on climate and energy policies with special focus on the coal phase-out at CEE Bankwatch Network and the Polish Green Network. Moreover, she has been involved in the work of Greenpeace for many years. Joanna holds a Masters degree in Law from University of Silesia.